Framework Solutions has been retained by Providence Health & Services (www.providence.org) to provide agile software development for their cancer research center (s) and bio-repository database software (including database security). Providence needed to find a partner who could manage the high expectations and needs of a large, national healthcare company that is at the forefront of operating today's leading medical research departments. Who are Providence Health & Services? As one of the largest non-profit health services in the United States, Providence runs 34 hospitals, 475 physician clinics, 22 long-term care facilities, 19 hospice and home health programs and 693 supportive housing units across California, Montana, Oregon, Alaska, and Washington states. It all began in 1856, when Mother Joseph of the Sacred Heart and the four other Sisters of Providence arrived in Vancouver, which back then was part of Washington state. The sisters came to help a new pioneer community and in a short time they established the first schools, hospitals, orphanages and other institutions of care to serve the new communities. Today Providence continues the tradition of compassionate care and is particularly active in the medical research sector. More than 25,000 cardiovascular patients and 18,000 cancer patients are being treated in providence hospitals each year, attracting national research opportunities to advance medical knowledge for the future. Providence Increases their Cancer Research Center Focus. Providence is an industry leader in the area of cancer research, and has 5 major cancer research facilities, including the newly acquired cancer research center, The John Wayne Cancer institute (JWCI) which is affiliated with Saint John’s hospital in Santa Monica, California. Within these cancer research centers clinical experts are developing new therapies such as cancer immunotherapy and innovative aortic valve replacement to name but a few. Because of such important research it is imperative for Providence to keep up to date with their database security, which is made possible with Framework Solution's agile software development solutions. Framework Solutions began their ongoing agile software development for The John Wayne Cancer Institute by building a leading Bio-repository database software application in 2007 to track over 2m cancer specimens across a large freezer bank at JWCI’s Santa Monica facility. In 2014 Framework rolled out the final clinical module for this system, linking thousands of patients and their treatment history to the repository data. With this final integration the JWCI saw dramatic improvement in the database security and general research capabilities of each cancer research center. Cancer research center software is a rapidly expanding field with very unique requirements. The JWCI software tracks the chronology of patient treatment history for those who consent to be on IRB approved Protocols. The software interlinks this information with detailed recording of all the processes and events that occur once samples are taken from patients, and stored in the repository. 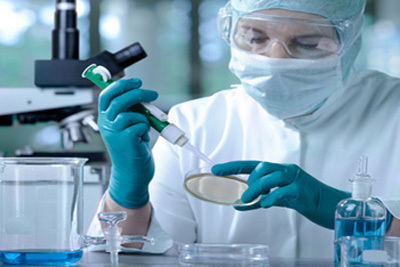 Many such protocols are multi-center clinical trials which involve consented patients all over the world and so the database security is of utmost importance. Processes and Agile Software Development for Providence. The industry leading cancer research software developed by Framework Solutions for JWCI and Providence Health includes many unique features such as enabling users to create aliquots and perform assay testing on a range of different specimen types. The software has also automated the routing of specimens to labs for testing, and uses extensive cross linking with clinical trials data. These features allow for extensive query and reporting capabilities in order to provide investigators with efficient yet secure access to the data they need. This agile software development needed to have the highest levels of database security, to ensure patient and research safety. which Framework Solutions uniquely built into JWCI systems. As a primary vendor to Providence Health for bio-repository software systems, we will next be focused on integrating JWCI’s research systems with internal systems. The JWCI research module includes a revolutionary event tracking design that will keep a full history of disease progression for patients over time and will eventually be used by every cancer research center within Providence. Framework Solutions' role based database security system guides users through their respective workflows ensuring full HIPAA compliance including a fully integrated enforcement of valid patients to ensure proper IRB compliance. Learn more about the leading bio-repository database application we created for JWCI and Providence Health at http://www.fwsi.net/bio-repository-database-jwci/.